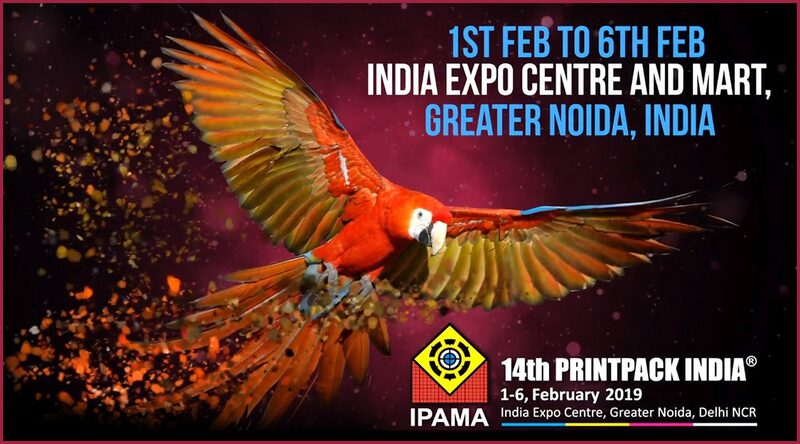 The forthcoming Printpack India expo (1-6 February 2019) to be held at India Expo Centre, Greater Noida, will be 47% bigger than the last edition. As on date about 24,500 Sq. m space has already been booked by 505 exhibitors. IPAMA has also inked MoUs with overseas associations in China, Egypt, Nigeria, Italy, Sri Lanka, Bangladesh, Nepal, and other neighboring countries for mobilizing visitors from overseas. In the last five months, IPAMA had participated in more than 75 Indian and foreign exhibitions & conferences for promotion of the event. As a result a massive footfall of visitors is expected in Printpack India 2019. For the convenience of visitors, elaborate arrangements have been made for on-line registration. According to the organisers, visitor has to fill a simple online form to register themselves. In the entire process of registration, it takes maximum 2-3 minutes. After registration, the visitors can keep print-out of the registration slip along with the ID proof for directly entering in the exhibition halls. Onsite counters will also available for onsite registration for those visitors who don’t mind paying Rs.100 for entry. Seminars and Workshops are planned for 2nd and 3rd February 2019 along with Aptech and AIPIMA. World renowned Speakers are being roped in as guest speakers.